The Baldwin Vibraslim Bass was built between 1965 and 1970, but its first appearance was as a Burns model. Over time, the Baldwin label took prominence. This bass dates to around 1966 – the first Burns run had the controls mounted on the pick guard and had a more traditional tailpiece, which was replaced by the Rezo-Tube bridge. The Burns / Baldwin Vibraslim is a semi-hollow bass with a pair of Burns design Bar-O-Matic single coil pickups, selector switch, master volume and two tone controls. The tuners are Van Gent bass models and work smoothly. The pickguard is the original clear Plexiglas with a Baldwin logo. The Rezo-Tube bridge originally carried a mute pad ahead of the saddle, but that is long gone. As is typical for thinline style electric instruments, the body is laminated maple with a center block. The neck is bolt-on, Maple with Indian Rosewood fingerboard, modified scroll head and a zero fret. The scale length is 30 inches and the nut width 1.6 inches, so it’s a fairly standard ‘short scale’ bass, but the body is a comparatively wide 16.25 inches. Currently, this instrument is strung with black light gauge tape-wound strings, and it’s physically pretty easy to play. 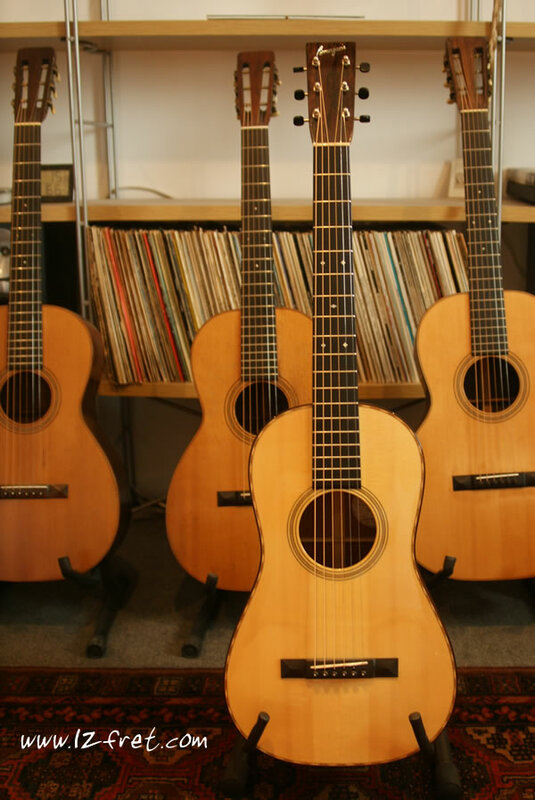 Fret wear is light, partly because of the tape wound strings, which are gentle on frets. The finish is in good condition with some of the checking that’s expected from this type of poly finish after several decades. A hard shell case is included.